This is the second full length album from these German metal guys. In 2000 they already released a demo and in 2002 their first album "Piece Of Past". 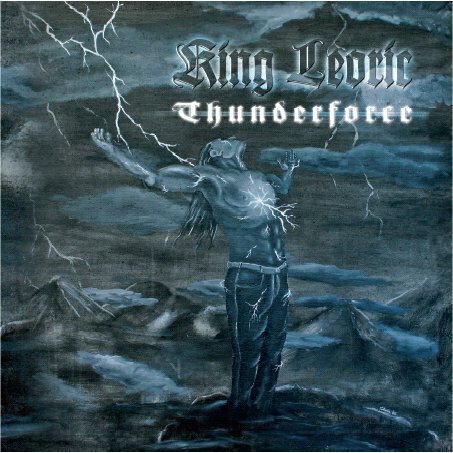 When I listen to their latest album, "Thunderforce", I can't believe that they aren't signed yet! King Leoric plays a great mix of Teutonic Metal, NWOBHM and U.S. Metal. Their songs have a lot of variety in tempo – midpaced, up-tempo and even some balladesque parts. Bands to refer at are Iron Maiden, Judas Priest, Manowar, Rebellion, Running Wild, Accept and, more recent bands like Majesty and Messiah's Kiss. With Jens Wunder they have the perfect vocalist for their metal music. He sings very powerful but stays always melodic too, without singing too polished. Currently the band is working on their third album "Lingua Regis", which will be another killer album in my opinion!